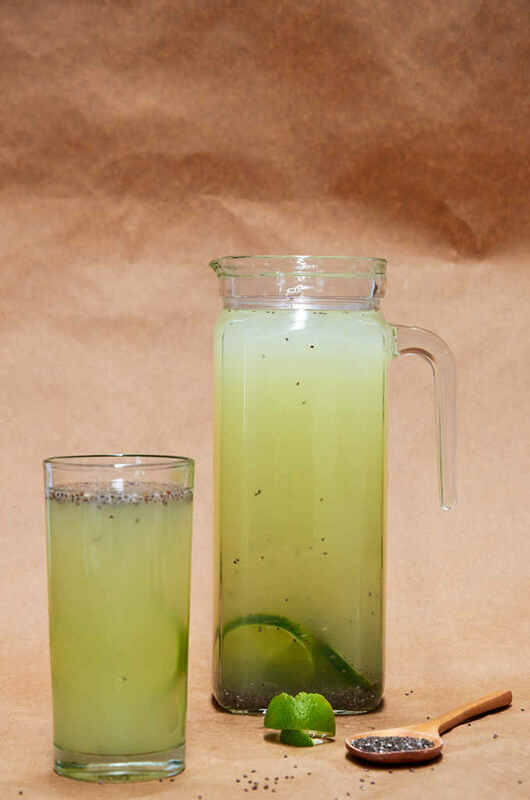 Delicious, tart chia lime agua fresca, limeade (limonada) with chia seeds added. Whole limes are blended with water then strained which gives the drink a pronounced lime taste. This method of preparation is common in the central part of the State of Chiapas. Prep time is only 5 minutes. Our photographer’s mother prepared this for him regularly when he was a kid. This is a much healthier and tastier option than a soda to accompany your meal. You will need 2 Key limes + 2 more if you want to serve drinks with lime slices, 6 cups of water, 1/4 cup sugar, and 1 heaping tablespoon of chia seeds. Cut off both ends of the limes then cut into quarters and remove the seeds. Blend the limes, water, and sugar for 30 seconds. 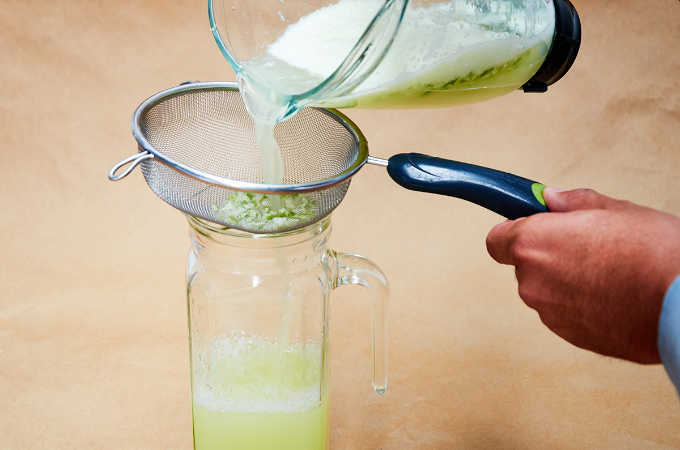 Strain the lime water into a pitcher. 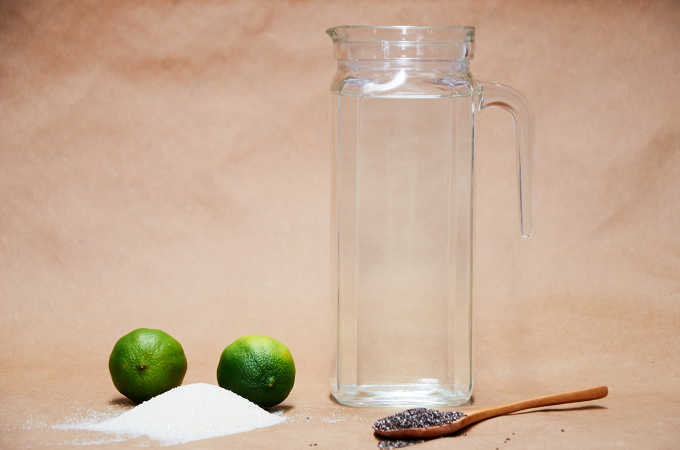 Add the chia seeds to the lime water and let rest for 15 minutes. 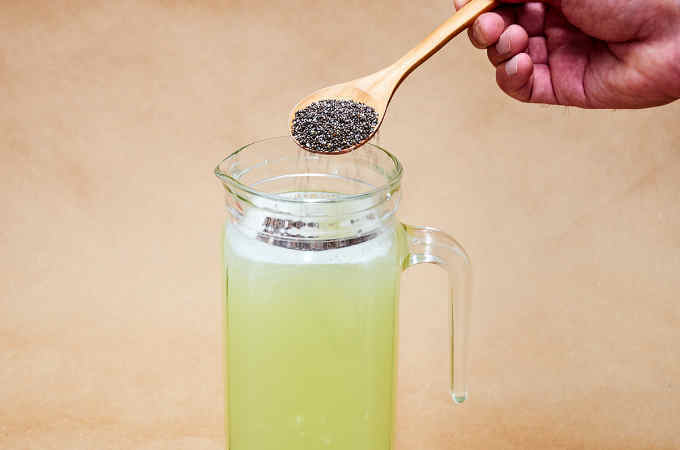 The chia seeds will absorb water, soften and turn into a gel. 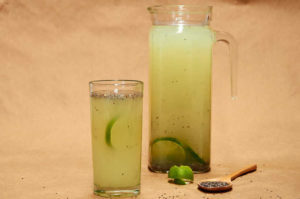 Delicious, tart chia lime agua fresca, limeade (limonada) with chia seeds added. 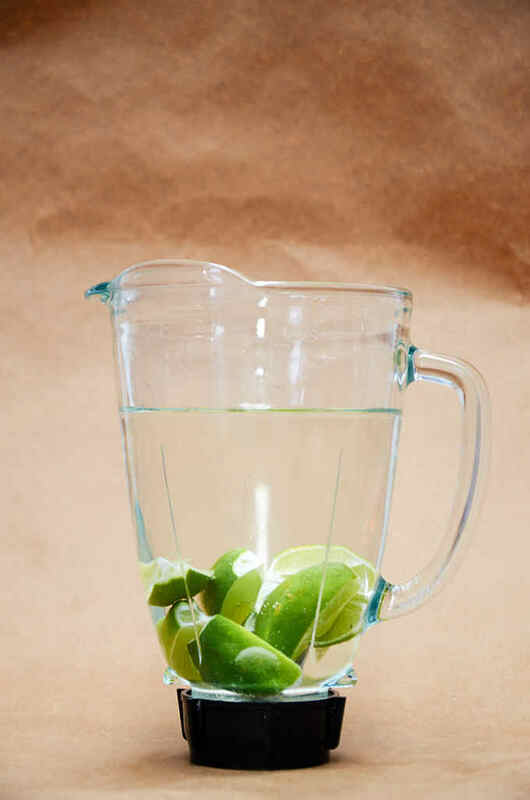 Whole limes are blended with water then strained which gives the drink a pronounced lime taste. Andrés our photographer drank this regularly at home when he was growing up. Wash the limes well with soap and water. Cut the ends off the limes then cut into quarters and remove the seeds. Blend the limes, water and sugar for 30 seconds. Strain lquid into a pitcher. Add the chia seeds and allow to rest for 15 minutes. The lime zest gives the drink a tarter more pronounced lime flavor. Add more sugar if you prefer. 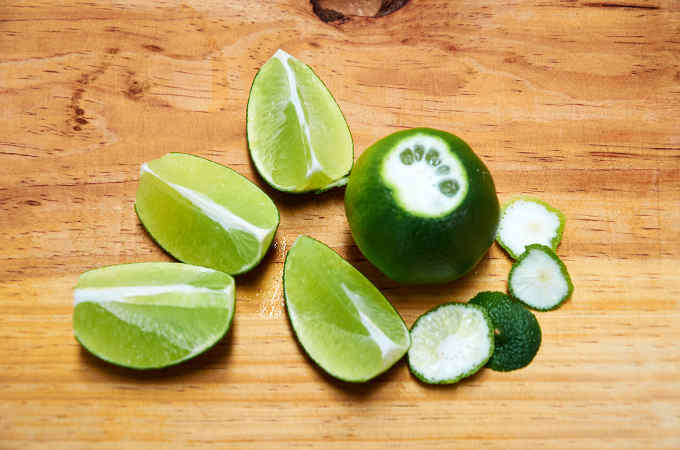 If you find that is much to tart for you, you can prepare it with only the lime juice and not the whole limes. Typically, this drink is served without ice.